It’s been a bit quiet on the DNS Spy front lately, hasn’t it? Well, today is about to change that. As a Software-as-a-Service, it’s very convenient to have predictable & reliable monthly income. It helps budget things and get a good future projection of revenue, to base investments on. However, as a user, you don’t want to be bothered with monthly bills. Especially if you’re in a large organization. Yearly bills are much more convenient for that. So, as of today, we also offer yearly billing to all our plans. The pricing can be found on – you guessed it – our pricing page. To switch from monthly to yearly billing, head over to your account -> Settings -> Subscriptions and pick the Yearly tab. 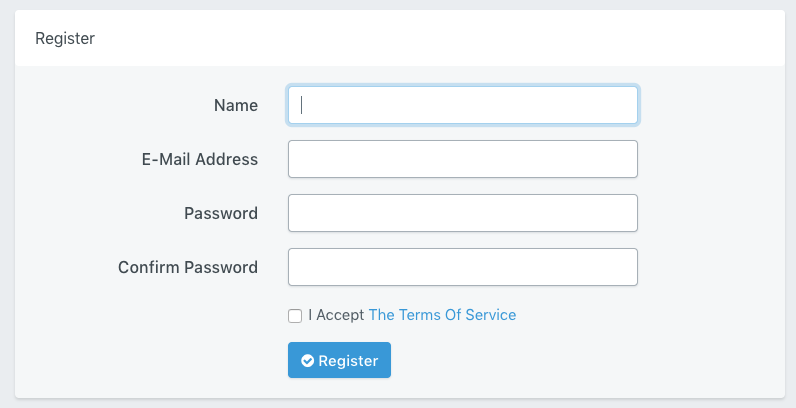 Our users’ convenience should come first, which is why we’re happy to have implemented yearly billing! We’ll admit, our pricing & plans have been a bit … well … all over the place. First we had a free tier for all users, which we had to cancel due to popularity. Then we added a Light plan to monitor the DNS of just 3 domains. A bit later we realized that not having a free tier meant our users had to become paying members to give us a try. It’s a big commitment to give a SaaS your credit card details (hey, we’ve only been on 2 dates, right? ), so we had to intervene. Back then we introduced a trial plan, but with upfront credit card information so we could auto-renew the trial to a paid plan. All this to say: we tried a few things and none really clicked for us. So, let’s change that. There’s now a 10 day trial and the signup form just looks like this. No credit card, no confusing things. Just a login & a password and you’re good to go. Sorry it took us so long to figure this out. With this update we introduced a new big change to our subscription plans: all features are enabled for everyone, just choose a plan based on the amount of domains you want to monitor. This means you no longer need a Premium subscription just for the zone transfer feature or the extended CNAME resolving. You get that for every plan now and you can just upgrade as you add more domains. Note that zone transfers require a specific config on your nameservers and not every provider supports it. Additionally, every plan gets a 365 days retention for all DNS changes. We managed to align pretty much every checkbox on the pricing page as the only real differentiator now is just how many domains you want to monitor. Existing users can downgrade their plans to fit the amount of domains they have. 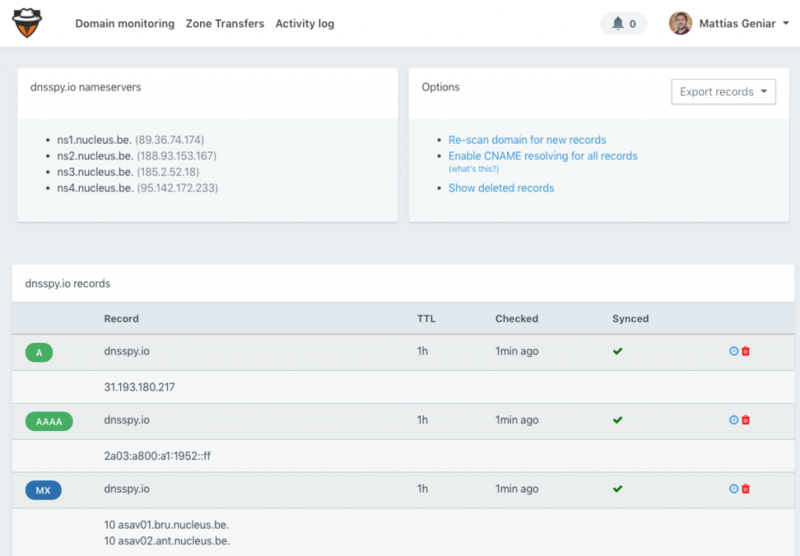 We’ve updated the styling and our dashboard and the management of your DNS monitors. We believe it feels more modern while keeping a simple overview of all your settings. Here’s what the new dashboard looks like. And a detailed look of one of your monitored domains. We gave everything a proper winter cleaning, all our software libraries, dependencies & 3rd party integrations have been updated to the latest release. While this doesn’t immediately translate to a benefit to you, our user, it does help keep DNS Spy in shape for the future. We’ve still got plenty of plans for things we want to add to both our SaaS monitoring as well as the public DNS scan & scoring system. We are excited for the future of DNS Spy and hope you’ll like the new things we just shipped!